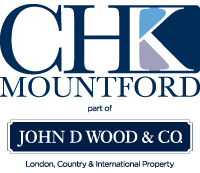 If you are a tenant in a CHK Mountford managed property . . . . In certain emergency situations it may be reasonable in order to diminish danger or damage, to contact a contractor in your local area to carry out a temporary emergency repair, only if you are unable to reach our emergency contractor. Please note – if you feel this is necessary, this should only be done in the event of an emergency ie, major leak, security issue or complete lack of heating and hot water facilities over a 48 hour period and should be reported to your Property Manager at the first available opportunity. Payment of such invoices will be discussed with your landlord, but however cannot be guaranteed. No Gas or Electricity / Electricity tripping off? Please check with your neighbours or provider to whom you pay your gas and electricity bill as to whether this is an outage in your street or local area. If it is, take their advice on actions. Where the electricity is tripping off, please check the fuse board. Where it is none of the above, please call your Property Manager or follow emergency guidance. A complete lack of heating and hot water would only be classed as an emergency repair between October and April or where a young child or elderly person resides in the home on the tenancy agreement. Please ensure you check your water heating system as you may be able to rectify this. If this is an electric boiler the fault will be visible and in many cases should you refer to a manual (easily sourced online if not in the property) you may be able to rectify the issue yourself. If you have an electric immersion heater as an alternative means of supplying hot water, you will be expected to use this until repairs can be carried out as routine maintenance. If you have a gas boiler please ensure you have tried to reset the pilot light and re-pressurised the boiler – if needed, please refer to a manual for full instructions. Please also ensure you have checked any timers or thermostats throughout the property. Should it only be the heating that has failed then please check your radiators, if one of them is warm to touch at the bottom only this would indicate air in the system and the radiator will need bleeding in order to reinstate the heating. This is easily done using a radiator key which can be purchased for very little at most general stores and is a tenants responsibility. Should you experience a total loss of water to your property please check whether or not the water authority has turned off the supply in your area. This can be done by either contacting a neighbour or the local water provider by phone or online. Quite often the cold water tap in the kitchen is linked directly to the mains, so try this. If there is no supply from this tap, the supply may have been stopped and you should contact the emergency water authority. Turn off the water supply at the stopcock and use containers to try and catch the water. If the water is affecting the electricity, switch off the supply at the mains. Emergency repairs to leaking waste pipes for baths and sinks are normally only carried out if the appliance is unusable because of the leak and this is the only facility of this nature. If the leak can be caught with containers do this and report the repair during normal working hours. If you experience a break in or fire please contact the relevant authority immediately. In the event of a burglary you will need to ensure you receive and keep noted a crime reference number. Both you and your landlord will need this in order to make any necessary insurance claim. If your issue relates to lost keys please contact us, it may be that the locks will need to be changed the cost of which will need to be borne by yourself and you will also need to arrange provision of a management key for us. If there is a repair issue with the lock meaning you are not able to enter/exit the property outside of office hours please contact our out of hours contractor.